Creaton is a village and civil parish in the Daventry district of the county of Northamptonshire in England, about eight miles north west of Northampton and sits on a ridge above a valley. Creaton, together with its attractive surrounding countryside, is set in the heart of what William Blake called “England’s green and pleasant land”. There are currently around 500 inhabitants. 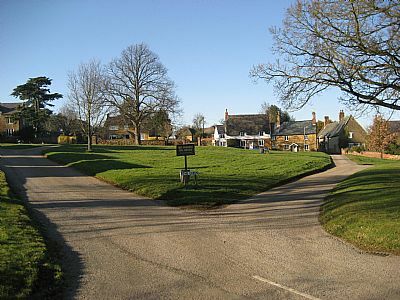 In the centre of the village is a large, sloping green, certainly one of the finest in the county. The church of St Michael and All Angels dates from the 13th century with a low stone tower. On the High Street stands the United Reformed Church. The village possesses an excellent primary school, a Post Office/General Stores and a pub, “The Bricklayers Arms.” On the Brixworth Road is a well-used playing field. The Village Hall is the hub for a variety of activities. On the outskirts of the village there are a Conference Centre, 'Highgate House' (a former 17th century coaching inn) and a few small businesses which provide employment for local people. An extraordinary Parish Council Meeting will be held on Thursday 25th April 2019 at 7.30pm at the United Reformed Church, High Street, Creaton. The agenda will be posted here three clear working days before the meeting.